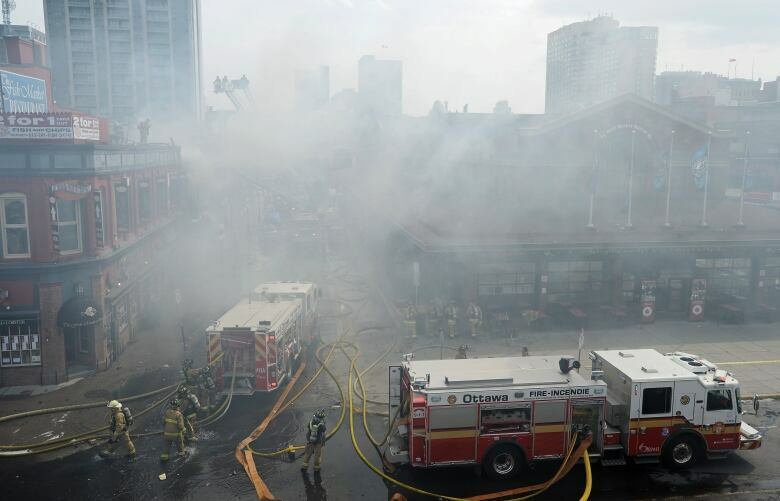 The fire that heavily damaged a restaurant and adjacent buildings in Ottawa's ByWard Market on Friday was "accidental and preventable," according to Ottawa's fire chief. 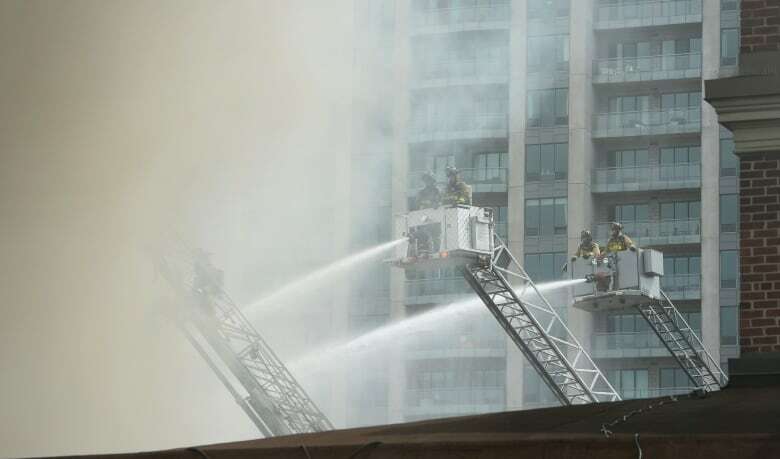 In an update in front of 35 William St. on Monday afternoon, Chief Kim Ayotte said the joint investigation by Ottawa Fire Services and the Office of the Fire Marshal has determined the blaze began on the northeast corner of the building's roof, where roofing work was underway. "The cause was officially determined to be accidental and preventable as a result of the roofing activities that were taking place on the roof of 35 William St." Ayotte said. More than 100 firefighters responded to the fire at Vittoria Trattoria after the call came in around 11:20 Friday. Firefighters were soon told to evacuate the building when the flames intensified. 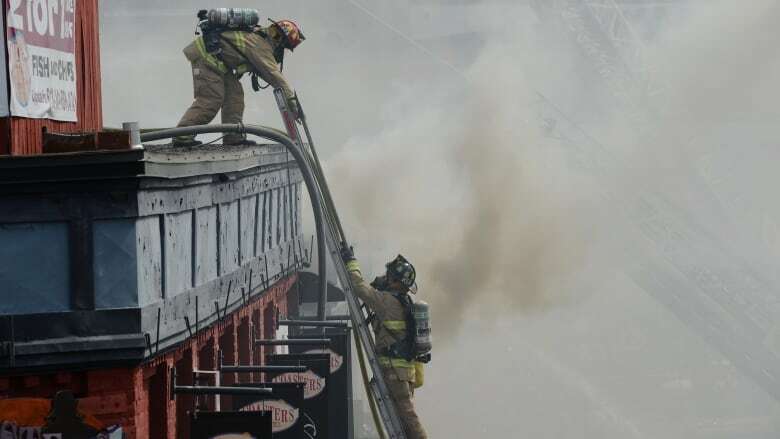 As ladder crews attempted to douse the flames from above, the fire spread rapidly across the adjoining rooftops. The flames were finally brought under control just before 3 p.m. An early estimate pegged the damage at more than $2 million. While the City of Ottawa couldn't say precisely when the building housing Vittoria Trattoria was constructed, it dates back to at least 1872. In an interview with CBC Radio's Ottawa Morning on Monday, restaurant owner Domenic Santaguida said the building is being turned over to insurers.